So this is the first time I write in English for my blog. Big deal for me. But the reason is well worth the jump. (The Spanish version of this post can be found here, by the way). Last December, Varkey GEMS Foundation published the list of the 50 finalists for the Global Teacher Prize. This award seeks to give merit to one “exceptional teacher”. With one million USD dollars, that is. Of course, the initiative, 2015 being its first edition, is already causing turmoil around the world, and is even being called the “Nobel Prize of Teaching”. One fortunate Teacher will take home the prize next March. I feel so lucky and humbled to, somehow, have my name on this exceptional list, sharing the honor with other 49 teachers from 26 countries, each one of them with inspiring stories of passion and commitment for education. I am in awe. After reading the information on that website I realised that any person could nominate any teacher, anywhere in the world. It was huge. A teacher could also nominate him or herself. Nominations were open and free. The next step after nomination was to complete an online application, with several questions that basically referred to our personal story as teachers, our achievements in educational innovation, global education, impact on community and overall contributions to the teaching profession. A recent photo was also requested, and there was the option of uploading a video. I reviewed the information in great detail. Ok, I concede I was a little weary. I had never before heard anything about this prize. It seemed too good to be true. But if it was indeed true, it was also massive. I recognised the great potential for impact on the teaching profession worldwide. So I googled around and found strong evidence that this was, really, well, true. Oh. My. My story is not important by itself. My story is just one among many that weave each other around what it means to be a teacher. But my story, as well as the much greater stories of my fellow finalists, gives this prize a human face, -50 faces, actually- a blow of living breath to the real story behind: Varkey Foundation is out to make the teaching profession one of the most prestigious around the world. It is vastly said that teachers are “key” in society. At least from the lips out, nobody could doubt that educators are truly important. But in reality, being a teacher is not exactly what many people have in mind when they think about a successful career. Like being a doctor, or a lawyer. Well, at least in my home country, Mexico. I did not dream about becoming a teacher myself. Oh yes, of course, in my childhood play I was often a teacher. A good one. I sat all my dolls in a perfectly lined little classroom made with blankets and pillows, and “taught them to read”. Oh, what a beauty. My perfect plastic students were always smiling, always paying attention, and yes sir, always quiet. Well, it was kind of boring too. I wished that my dolls could come alive and misbehave a little. Just a little. But then I grew up. Fast. And by the end of High School, I was contemplating a different career path. “I want to be a writer”, I told anyone who cared to ask the perennial question: What are you going to do? So I wanted to study literature. And become a poet, a novelist. Well, you can guess the reaction. “Being a writer is difficult. You are going to starve to death. And just about a second before perishing of hunger, you will have to become a teacher, you will teach Spanish in a obscure and forgotten school somewhere”. “You will have to become a Teacher”. Like some kind of punishment for failure. They said this as if it was a death sentence, but trying to make it sound as a well-intended warning about an inevitable deception. But hey, the interesting thing here is not that they thought that making a living as a writer was difficult. We all know that. The interesting thing is that they saw teaching as a direct result from mediocrity. Well, life took me on a hilly, curvy road. Oddly enough, first I became a teacher, and then, precisely because I was a teacher, I became a writer. In my youth, one of my poetry books was published. I even won a national poetry contest. My poems were included in a handful of anthologies. But no, I was not able to make a living out of my writing. At least not then. My road to teaching was sort of accidental. When I became a mother, I got a deep longing for teaching my children about all the beautiful things in our world. Art, music, books, culture. I have always been an avid reader, and I yearned for my kids to derive joy from a good book. So my children became my first students, and, may I say, my first teachers -on how to teach. As they got older, I was not able to find in my hometown the kind of school I had envisioned for them. So I founded my own. And that is how Colegio Valle de Filadelfia was born. From my childhood bedroom with the quiet dolls, I moved to my living room with eventually three chatty, adventurous little ones, and later to the real classroom: preschool, elementary, junior high. My school grew alongside my children. I grew as well, as a teacher. Valle de Filadelfia extended to other Mexican cities and even to another country: Costa Rica. Years went by, and many projects took shape. When our secondary school opened, I began to teach History and Geography, and for that purpose I created a complete series of online curricula and materials -in a flipped classroom manner. From the very beginning, these resources have been freely available for teachers and students from all over the country. All the videos are posted on YouTube, and all the materials can be downloaded from our school’s website. Today I teach technology to 8th and 9th graders. It’s so much fun to learn alongside them. From producing videos to designing websites to experimenting with apps and video games, we are all having a blast. One of my most beloved projects has been creating an early education curriculum to focus on reading, writing and growing up global. Beginning in Preschool, our children explore a different culture or country every month. This same project includes opportunities to discover and enjoy diverse art and music. At school, our kids learn to play the violin, to paint, as they also embark in different workshops according to their interests. In 2014, after seven years of knocking on several publisher’s doors, Pearson Education Mexico published my series of textbooks for preschoolers and their educators. A total of 12 books were born last summer. I could never have achieved this without the experience gained after years of teaching. The books are now in several Latin American countries, and we even shipped some to Spain. It took me some time to finally complete the application for the Prize. In fact, I almost missed it. It is not that I wasn’t excited: I was. But it still seemed so unreal. And seriously, I didn’t really think I had a shot. Well, I would be lying if I said I had absolute no hope of at least squeezing myself into the finalists. It felt like buying a lottery ticket, you know? You realise there is a faintly slim chance that you can actually win it. But you buy it anyway. And then forget about it. I think I barely regained consciousness one full day after reading those lines. Even now, two months later, I still find it hard to believe. I check on my profile on the Global Teacher Prize website somewhat often, just to make sure it is still there. And then I read the other profiles. And get inspired. I have my personal favourites, but I admire them all. Overall, I respect them greatly. I am so grateful just to be able to have my name and my picture in the same place as theirs. The 50 finalists were announced on December 8th. When all the names and countries represented came to light, I was very surprised to find myself as the only Hispanic American teacher among the finalists. I can only believe that, being this the first time that the Prize is given, many great teachers out there were not lucky enough to find about this award. And that is something I would love to see changed: Hopefully in 2016 and the years to come we will have greater latino representation. Exciting road ahead. In February, the Global Teacher Prize Committee will announce ten finalists out of the top 50, who will have the opportunity of a lifetime: they will fly to Dubai to attend the Global Education and Skills Forum 2015. There, on March 16, the winner of the Global Teacher Prize will be unveiled. Don’t even ask. Of course I’m dying to go to Dubai. And I know the chances are as slim as they could be. But the greatest thing has already happened, and is still happening: Varkey Foundation has started a global movement on behalf of Teachers around the world. Maybe we can achieve the cultural and economic changes needed to uplift the teaching profession to the skies. Maybe we will be able to raise the quality standards for educators, maybe becoming a Teacher will be seen as success instead of failure. I am grateful to the wonderful, international community of teachers, parents, educators, children and youth with whom I’ve had the privilege to share the road. I have been inspired by them, taught by them, challenged by them. I have grown as a result of meeting them. Teaching is learning twice, and certainly I have received much more than what I have given. I also want to thank Pearson Education Mexico: thank you so much for believing in this global learning project, and for granting me a space among your authors, when so many others closed the doors on me. Thanks to all the editorial team with whom I have been fortunate to work in developing these books: you have been my mentors and my friends. Thank you, friends and colleagues at The Institutes for the Achievement of Human Potential. You have given me the opportunity to work with brain injured children and their heroic families. They are the bravest people on earth, and you are their guardian angels. To all the teachers who have dedicated their enthusiasm and life in any of our six schools, to all the children that have enlightened our classrooms, to all the parents that have trusted us with what they hold dearest, to my beloved family and friends, thank you. What a privilege it is to be able to nourish the minds and souls of our young ones. If every child has a seed of genius, then every teacher has the potential of an artist. El 8 de Diciembre se publicó la lista de los 50 finalistas mundiales al Global Teacher Prize, una iniciativa de Varkey GEMS Foundation, que busca reconocer a “un maestro sobresaliente”. Esta es la primera edición del que comienza a conocerse como el “Nobel de los docentes”. El premio, de un millón de dólares, se entregará a uno de entre los 50 maestros en la lista, en Marzo de 2015. Me siento muy afortunada y honrada de que mi nombre esté en esta lista, compartiendo espacio con otros 49 maestros y maestras de 26 países, cada uno de ellos con historias inspiradoras de compromiso y entusiasmo por la educación. Tras leer la información contenida en la página me percaté de que cualquier persona podía nominar a cualquier maestro, en cualquier lugar del mundo. Un maestro podía incluso nominarse a sí mismo. La nominación era abierta y no tenía costo alguno. El siguiente paso era completar una aplicación en línea, en la cual se pedía responder a varias preguntas, básicamente contando nuestra historia personal como maestros, y describiendo logros en innovación educativa, educación global, impacto en la comunidad, y contribuciones al mejoramiento de la labor docente. Se pedía también incluir una fotografía y, de manera opcional, subir un video. Recuerdo haber repasado la información a detalle, maravillándome ante la magnitud de la convocatoria y lo que ello podría significar para la profesión docente a nivel mundial. Nunca había oído hablar de este premio y al principio reconozco que sentí algo de incredulidad, ¿qué tal que se trataba de uno de esos correos donde te engatusan para conseguir información personal? Sin embargo, conforme encontraba más y más enlaces e información en internet -gracias al poder de Google- la incredulidad se convirtió en entusiasmo: algunos medios de comunicación importantes, como en New York Times, ya habían recogido la noticia. También encontré referencias al premio por parte de asociaciones para la educación, tales como AMEI-WAECE. Mi historia no es la importante aquí. Mi historia es sólo una más de las muchas que se hilvanan alrededor de lo que significa ser maestro. Pero mi historia, y las historias de los demás finalistas, le dan un rostro humano al premio, le dan un respiro de aliento vivo a la verdadera historia que viene detrás: Varkey Gems pretende revestir de prestigio la profesión docente alrededor del mundo. Mucho se dice que los maestros son pieza clave de la sociedad, y prácticamente nadie duda de su importancia, por lo menos “de dientes para afuera”. Pero la realidad es que la docencia no es una profesión prestigiada, como ser médico o abogado. Por lo menos, no en mi país, México. Yo misma no soñaba con ser maestra -más allá de los juegos de la infancia en los que, como casi todas las niñas, sentaba a mis muñecas, ordenadamente dispuestas en un aula perfecta, y les “enseñaba a leer”. Mis alumnas estaban siempre atentas, sonrientes y calladitas: ¡cualquier maestra sabe que eso es lo más lejano que existe al aula real! Más tarde, cuando estaba por terminar la preparatoria y con el tema sobre la elección de carrera latente, casi cualquier persona, -con muy pocas excepciones- cuando les decía que quería estudiar Letras Hispánicas y convertirme en escritora, respondían con un “vas a acabar de maestra de español en una escuela”. La vida me llevó por rutas diferentes, pero curiosamente, primero fui maestra, y acabé siendo escritora precisamente por ser maestra. En mi juventud publiqué un libro de poemas, gané incluso un concurso nacional de poesía, y fui incluida en un puñado de antologías. Y aunque ello me trajo grandes satisfacciones, no pude hacer de mis poemas un modus vivendi. Mi camino hacia la docencia fue más bien accidental. Al convertirme en madre nació en mi un anhelo de enseñar a mis hijos todo cuanto es bello en nuestro mundo. Siempre fui una lectora ávida, y deseaba que mis niños gozaran de ese mismo deleite. Mis hijos fueron mis primeros alumnos, y también mis primeros maestros en la profesión docente. Unos años después, al no encontrar en mi ciudad una institución educativa que cubriera cabalmente mis expectativas, fundé la escuela que quería para mis hijos. Así nació Colegio Valle de Filadelfia. Me titulé como Licenciada en Educación Preescolar gracias al Acuerdo 357 de la SEP. Inmediatamente comencé una Maestría en Educación en la Universidad virtual del Tecnológico de Monterrey. De la habitación de mi infancia con las muñecas ordenadas, pasé a la sala de mi casa con eventualmente tres pequeños inquietos y ávidos de aventuras, hasta el salón de clases de preescolar, luego de primaria, y más tarde aún, de jóvenes de secundaria. Mi escuela creció junto con mis hijos. Yo también crecí como maestra. Valle de Filadelfia se extendió a otras ciudades de México e incluso a otro país: Costa Rica. Pasaron los años, y muchos otros proyectos se cristalizaron: Cuando se abrió la sección secundaria de nuestra escuela, creamos una serie completa de recursos en línea -en formato de aula invertida- para las tres materias de ciencias sociales: Geografía, Historia Universal e Historia de México. 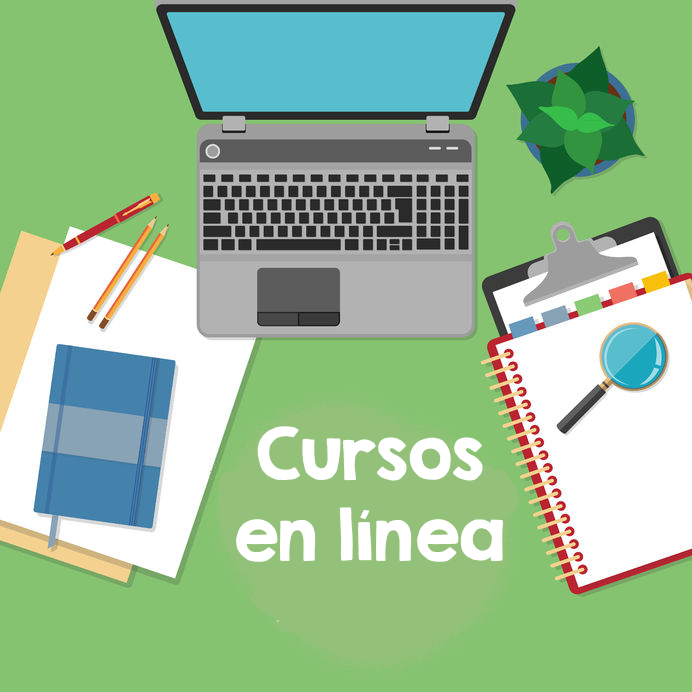 Desde un principio, estos materiales han estado disponibles de manera gratuita para estudiantes y maestros de secundaria. Otro proyecto fue la creación de un currículo enfocado a formar “ciudadanos globales”, en el que los niños, desde preescolar, conocen un país o cultura diferente cada mes. Este mismo programa acerca a los pequeños y jóvenes al arte y la música, a la lectura y la excelencia física. El currículo sigue enriqueciendo la conciencia global de nuestros alumnos de primaria y secundaria. 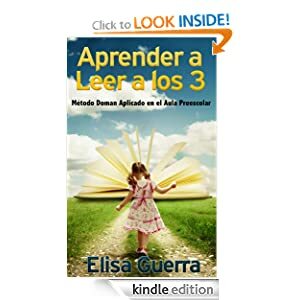 En este 2014, después de siete años de tocar las puertas de diferentes casas editoras, finalmente Pearson Educación publicó mi serie de libros para preescolar, un total de 12 títulos para alumnos y docentes, donde se aborda el aprendizaje de la lectura, la escritura y la cultura global. Jamás habría podido crear estos libros sin la experiencia que he obtenido como docente. Tardé mucho en llenar la aplicación al premio. De hecho, por poco no lo hago. De no haber recibido un correo recordatorio, aproximadamente una semana antes de que cerrara la convocatoria, muy probablemente se me habría pasado la fecha. Por supuesto que me había emocionado la nominación, por supuesto que me entusiasmaba la idea de tener, por lo menos, una oportunidad de participar. Pero con el cierre (y luego el inicio) del ciclo escolar, más la publicación de los libros con Pearson, y los viajes para capacitar a las maestras de nuestras escuelas piloto alrededor de México, mi mente estaba en mil lugares al mismo tiempo. Finalmente llené la aplicación, y, como quien compra un boleto de lotería, puse el asunto en una esquinita de la conciencia. Pasaron varias semanas y no pensé más en el asunto. Y entonces, un sábado a mediados de Noviembre, al revisar mi correo matutino, me encontré con la noticia: “you have been selected from thousands of applications from around the world as one of our Top 50 finalists” (Has sido seleccionada entre miles de aplicaciones alrededor del mundo como uno de nuestros 50 finalistas). Creo que tardé unas 24 horas en recuperar el aliento. Todavía hoy, siete semanas después de ese correo, me cuesta trabajo creerlo. Cuando leo las historias y logros de los demás finalistas, siento admiración, respeto, y un agradecimiento enorme sólo por poder contarme entre ellos. El anuncio de los 50 finalistas se hizo el 8 de Diciembre. Los afortunados que conformamos la lista ya lo sabíamos, pero se nos había pedido tratar la información confidencialmente mientras no se hiciera la notificación oficial. Cuando los nombres y países de origen de los finalistas salieron a la luz, me sorprendió ser la única mexicana, incluso la única hispanoamericana en la lista. He tenido el honor de conocer a grandes y dedicados maestros a través de los años, en mi país y en otros países latinos, y por supuesto sé que hay muchos más de ellos. Siendo ésta la primera vez que se ofrece el Global Teacher Prize, sólo puedo pensar que quizá muchos de los excelentes docentes que no conocemos, no tuvieron la información de la convocatoria mientras aún estaba abierta. Pero idealmente eso cambiará: el premio se ofrecerá cada año, y seguramente en 2016 tendremos una mayor representación de latinos. El comité del Global Teacher Prize anunciará a diez finalistas, que, elegidos entre los 50, tendrán la oportunidad de viajar a Dubai como invitados al Global Education and Skills Forum 2015. Ahí, el 16 de Marzo, se anunciará al ganador del premio. ¡Por supuesto que quisiera ir a Dubai! Y aunque lograrlo será difícil, considerando la fortaleza de los perfiles de todos los maestros en la lista de los 50, atesoro una semilla de esperanza. Pero lo mas grandioso de todo, ya pasó, y sigue pasando: Varkey GEMS ha comenzado un movimiento en pro de los maestros alrededor del mundo: quizá podamos lograr el cambio cultural y económico necesario para valorar la profesión docente como una de las más importantes y nobles, equiparable a la medicina y las leyes, quizá podamos elevar los estándares de calidad que distingan a las buenas prácticas educativas, quizá el ser maestro no se perciba como la penosa salida del que fracasó en otras áreas. Gracias a la maravillosa comunidad internacional de maestros, padres, educadores, niños y jóvenes con quienes he tenido el privilegio de convivir: Me han inspirado, me han enseñado, me han presentado retos que me han motivado a crecer. Enseñar es aprender dos veces, y ciertamente he recibido mucho más de lo que he dado. Gracias a mi casa editora, Pearson Educación México, por creer en este proyecto de aprendizaje para un mundo global, y por recibirme como una de sus autoras cuando tantos otros me cerraron las puertas. Gracias a todo el equipo editorial con quienes he tenido la fortuna de trabajar para desarrollar esta serie de libros: han sido mis mentores y mis amigos. Gracias a mis compañeros en Los Institutos para el Logro del Potencial Humano, en donde he trabajado como voluntaria con familias de niños con lesión cerebral, durante casi quince años. La entrega con la que realizan esta dura labor de amor y trabajo, padres y profesionales, me ha inspirado cada día. Y finalmente, gracias a mis compañeros docentes en los seis campus de Colegio Valle de Filadelfia, a todos los niños y jóvenes que han pasado por nuestras aulas, y a las familias que nos han confiado una parte tan importante de la educación de sus hijos. Qué gran privilegio el poder estimular y nutrir los intelectos y almas de nuestros niños y jóvenes. Si todo niño tiene la semilla de la genialidad, cada maestro tiene el potencial de un artista.